The Chinese Zodiac, known as Sheng Xiao, is based on a twelve year cycle, each year in that cycle is assigned- calculated according to Chinese lunar calendar- to an animal sign. These animal signs are the rat, ox, tiger, rabbit, dragon, snake, horse, sheep, monkey, rooster, dog and pig. This year (2015) is the year of sheep. Ancient Indian calender, though Lunar based, does not have such designated animal signs at all. Even then, year 2015 may as well be called as the year of the tiger, simply because of the fact that in spite of a world wide trend of decreasing numbers, India has been able to increase the tiger population in the country. 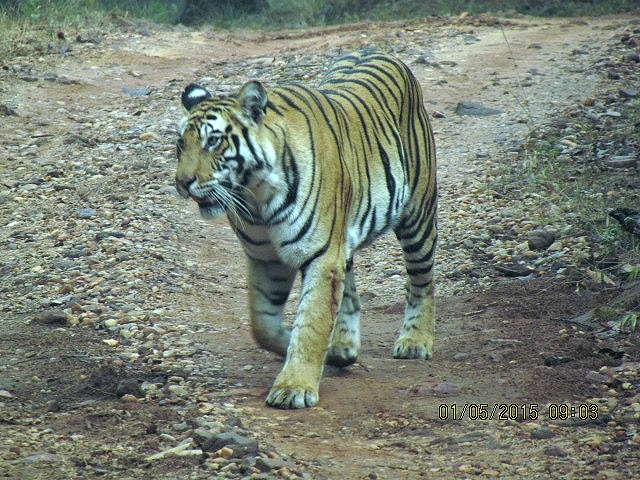 The latest estimate says that the number of striped big cats has risen to 2,226, up 30 per cent from 1,706 in 2010. 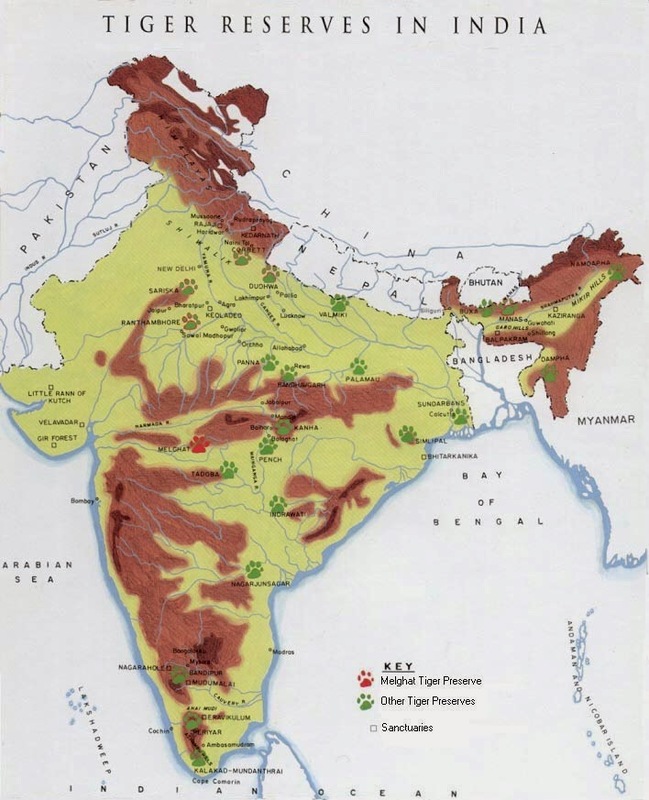 In India, there are as many as 47 established tiger reserves, with two more in Pipe line and several proposals waiting. The tiger reserves are spread across the country and are located in 17 states. Some of them hosting the largest number of tigers are well known such as Corbett, Dudhwa, Tadoba and Bandhavgarh. This new data on numbers means that 70% of the world's tigers are now prowling in India's forests. A fact that will be celebrated by environmentalists, ecologists and wild life lovers. Striped big cat or a tiger is one of the most majestic looking beast in the world and forms an important link in the ecological food chain. It is also one of the most illusive and cunning animal. Every year, thousands of tourists flock the reserved forest areas where visitors are allowed to take their chances for a tiger sighting. Recently during a visit to Assam and Arunachal, I had an occasion to travel through one of the newest tiger reserves known as “Nameri national park.” This park located on borders of Assam and Arunachal Pradesh has an area of 200 Sq. Km. And hosts 37 tigers. It is needless to say that since we just passed through the park and had no serious intention of going on a tiger safari, we did not make any tiger sightings. However in the same trip, we were hoping for a lucky chance to have a tiger sighting in the Kaziranga reserved forest, as, on the previous day, a tiger was believed to have been sighted by some visitors on a Jeep safari. We had no such luck and had to return empty handed. Our experience is probably typical of the most of the visitors, who return disappointed. 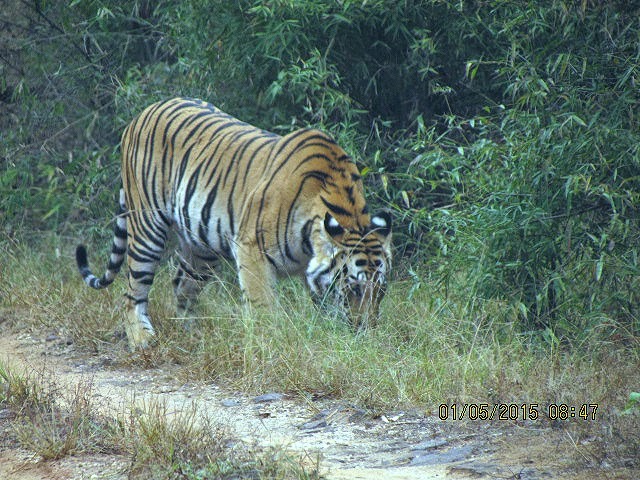 I wonder, if it is so difficult even to sight a tiger, how do forest officials carry out an accurate census of these beasts that are cryptic, nocturnal and occur only in low densities? 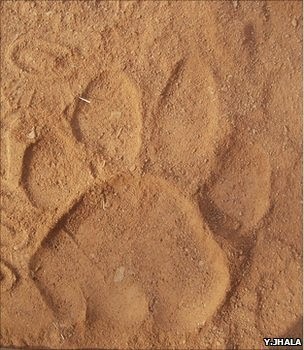 Writing in the British Ecology Society journal, Journal of Applied Ecology, lead author Yadvendradev Jhala from the Wildlife Institute of India, explains how use of paw prints and faeces offers scientists a fresh way to determine how many tigers are left in the wild. 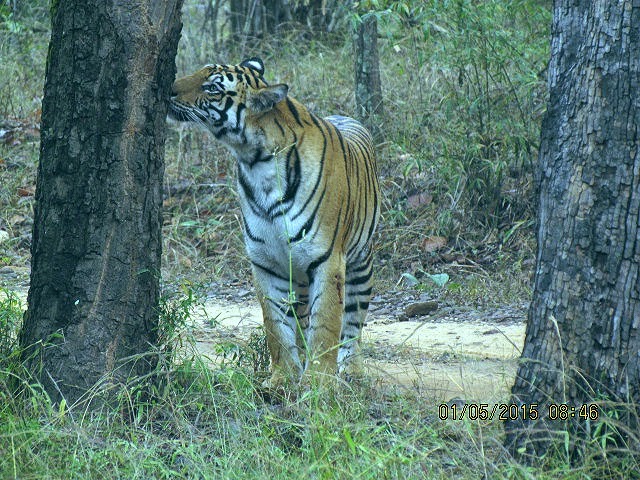 However Indian foresters seem to have used state-of-the art technology of double sampling, using camera traps to estimate the assessment and distribution of tigers. As many as 9,753 camera traps were set up for the census with over 100 people trained to use them. 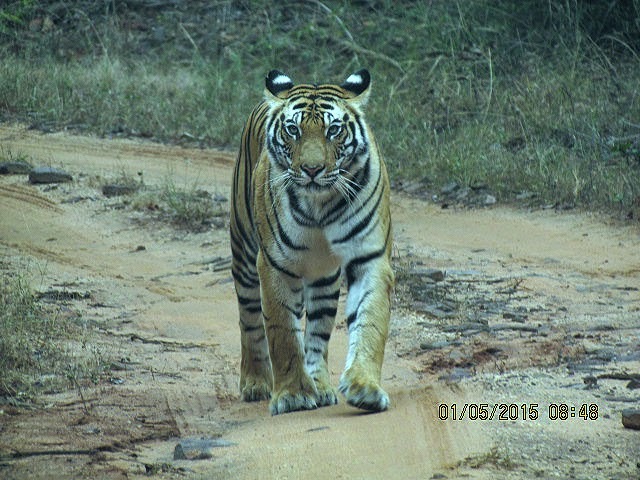 There were 1,540 photos of individual tigers aged above a year and a half for the first time. With this kind of solid proof, very little extrapolation based on data was required. So far so good, but what about the future? Ecologists feel that another 1000 to 1500 tigers can be supported across Indian forests through effective protection. What would be required is an effective infrastructure development, that includes safe corridors for animals to pass when there are adjoining forest areas. If there are highways that pass through jungles, suitable underpasses have to be provided so that animals find it easy to cross the roads. With these increasing numbers of tiger population, it is no wonder that India is ready to offer tiger cubs to other nations for releasing them in jungles that are protected from poaching and environment friendly.